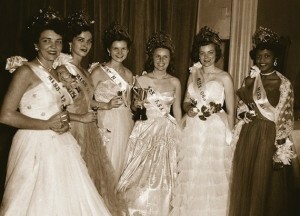 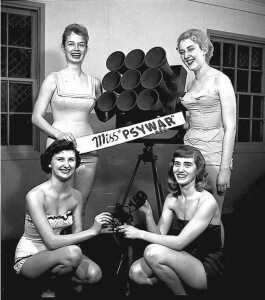 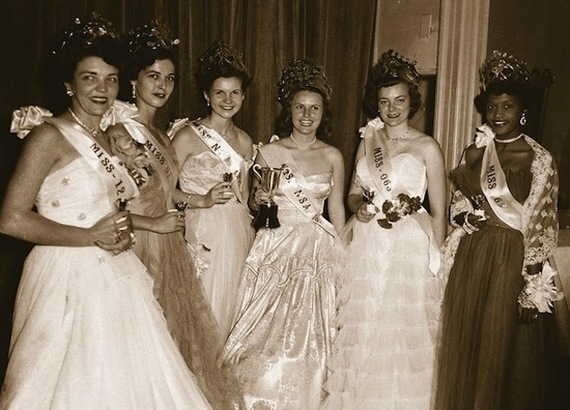 And it wasn’t just the shady world of psychological warfare that had its own beauty contest – the NSA even had a pageant which ran in the 1950’s and early 1960’s – perhaps the National Security Agency is not all about brains, as evidenced in this photo below, showing smiling women in corseted dresses! 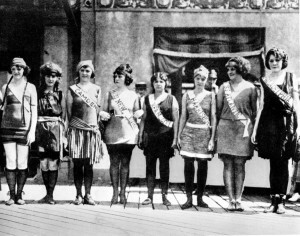 Again, very little is known about this pageant – besides the fact that contestants represented numbers as opposed to states – and that it was held annually. 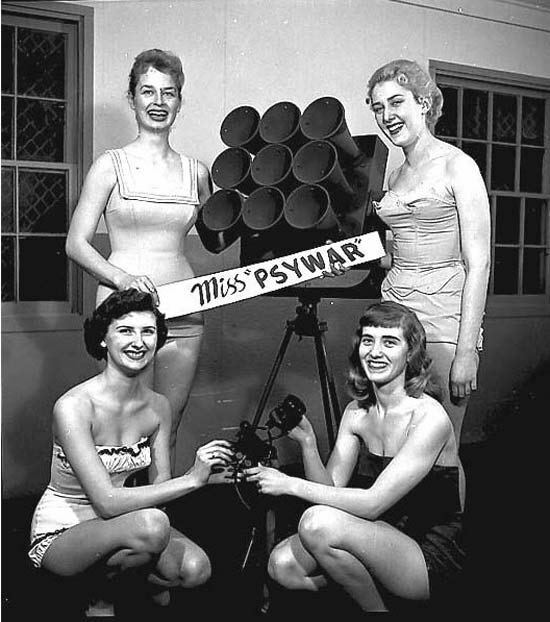 It seems the NSA is not keen to share many more details of its dark beauty queen history! And for our final foray into the world of downright strange beauty pageants of the past, I’ll leave you with this photograph of a young girl posing in knickers with a bag on her head – which at first glance looks rather questionable - but is actually a shot from the 1930’s Miss Lovely Eyes pageant! 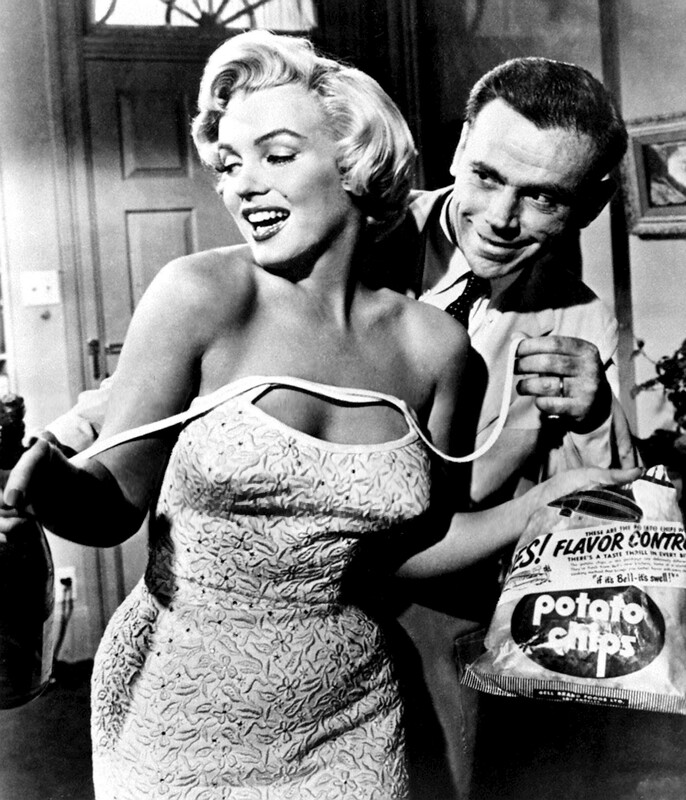 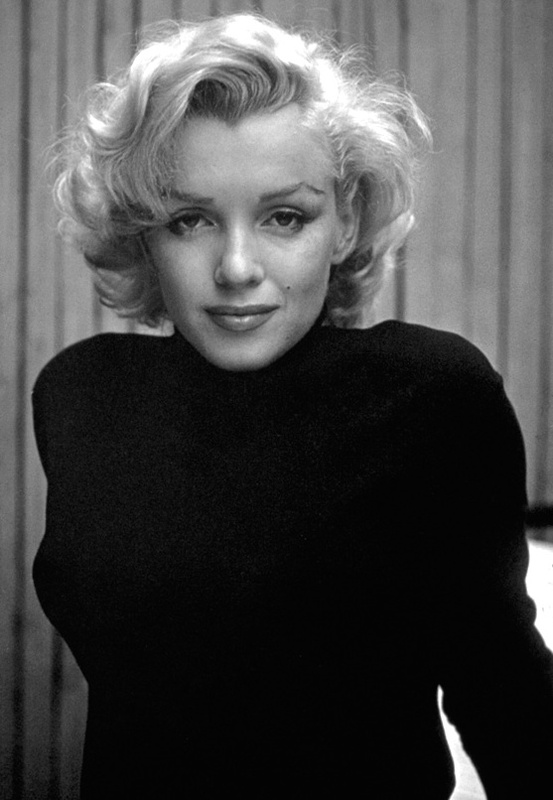 This entry was posted in Blog, Old Hollywood Glamour Files and tagged beauty pageant, Hollywood, Old Hollywood, Hollywood glamour, vintage glamour, lingerie, vintage lingerie, bullet bra on August 7, 2016 by Amy Gray. 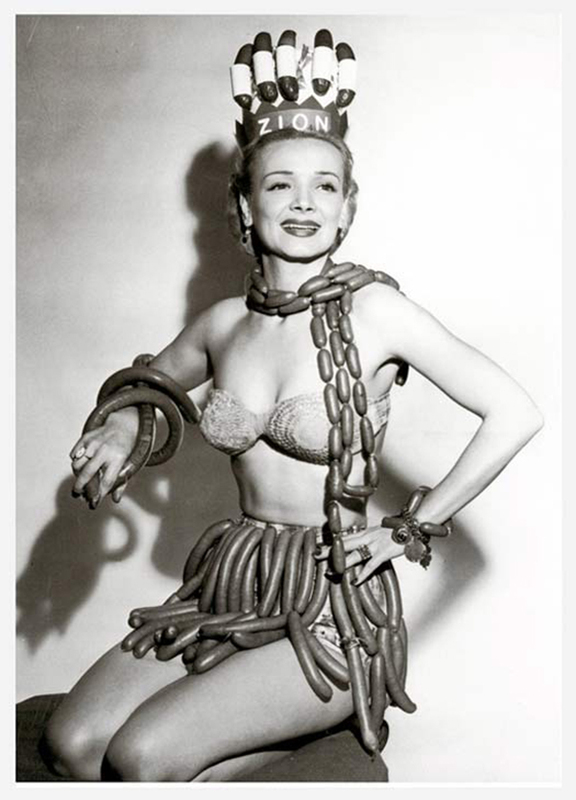 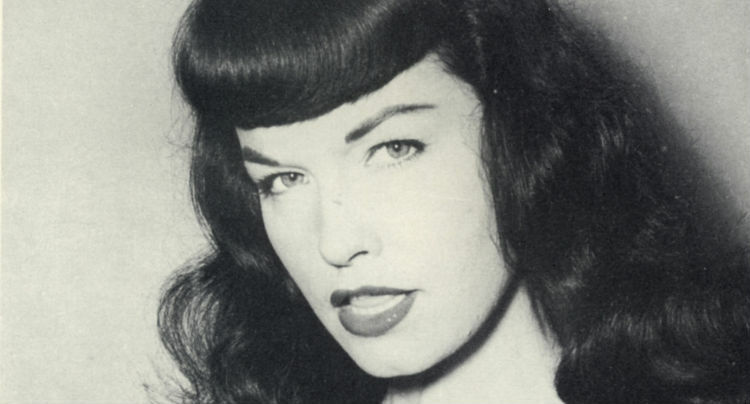 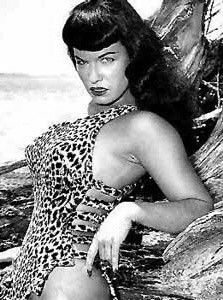 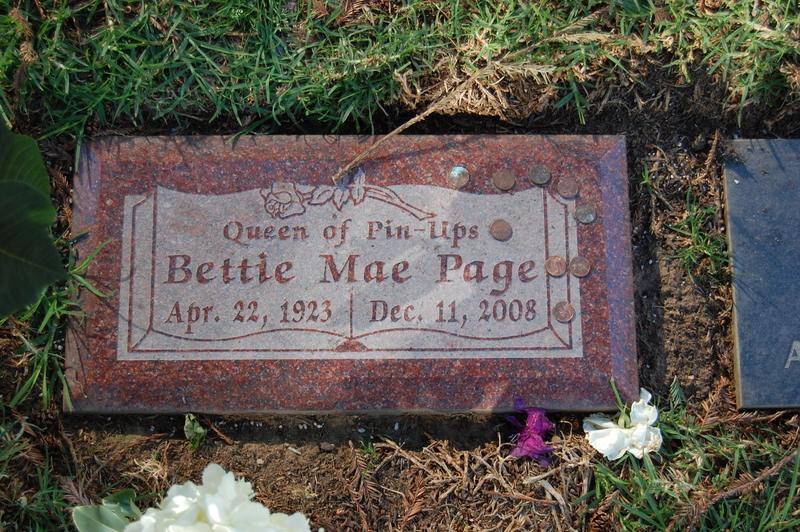 She was well known for the innovative and eye catching costumes that she designed for herself – anything from bullet bras to garter belts. This entry was posted in Blog, Old Hollywood Glamour Files and tagged Bettie Page, Hollywood, Old Hollywood, Hollywood glamour, vintage glamour, lingerie, garter belt, vintage lingerie, bullet bra, pin up on June 10, 2016 by Amy Gray.